Launchpad couldn't import bug #10605 from Xfce Bugzilla. On boot desktop icons have background. Running xfdesktop --reload fixes it. 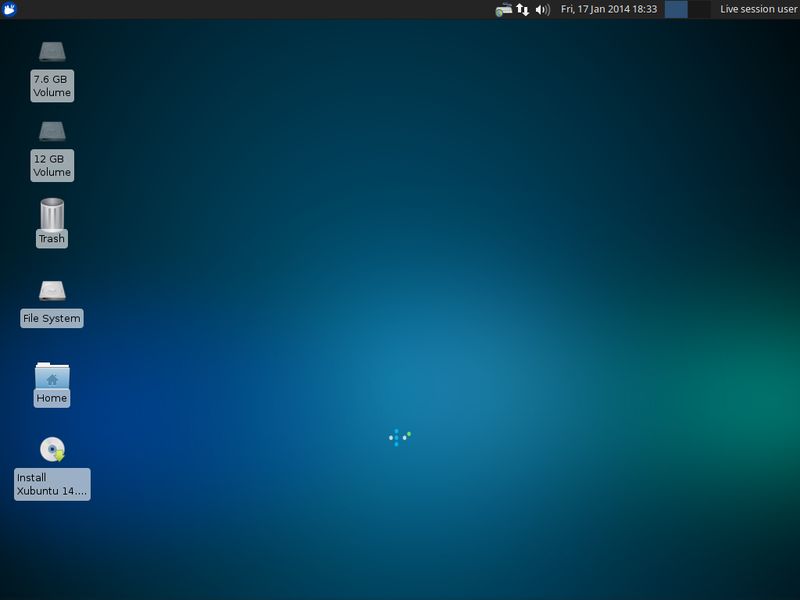 xfdesktop fails to apply the correct theme to desktop elements after starting the Xfce session. This happens quite often and can be fixed by reloading xfdesktop or adding an additional startup delay (1 sec) to xfdesktop. Let me know if this patch solves the issue for you. The patch does not solve the problem. xfdesktop waits for xfwm4 and now additionally for xfsettingsd or simply starts after the 5sec timeout. In the latter case xfdesktop will not update its appearance once the slower starting xfsettingsd is up and running. event that we respond to. this fixes it, even if it's not my favorite way to work around the bug. The new patch fixes this issue and also the related bug 10642. Changing the desktop icon size twice seems to freeze xfdesktop now. This patch should fix the resize issue. Thanks for pointing out the bug. I can confirm that the last patch resolves the resize issue. Commit 81e3969103a4b2fc705322bd9afee4e415934f80 is indeed responsible for this regression. I'd rather not revert back if we can help it. simple race condition between the two at start. Adding the -D option did not help. I've tested this commit and it resolves the issue. If you go to "settings/appearance/style and change from Greybird to any other theme you lose the desktop background completely.